Engineering glaciers could slow sea-level rise at the source. Propping up glaciers in the Arctic and Antarctic might be the most targeted — and, amazingly, the cheapest — way to slow sea-level rise in a warming world, according to a new paper in the journal The Cryosphere. A seawall, or even just a series of artificial seamounts for the glacier to get stuck against, could hold back unimaginable amounts of meltwater, the research suggests. But the idea of engineering glaciers leaves some scientists uneasy, particularly because of the potential for unintended side effects. Talk of geoengineering can also give the public a false sense of security, said Valentina Roberta Barletta, a postdoctoral researcher who studies ice-sheet dynamics at the Technical University of Denmark. "As a theoretical exercise, it's okay, it's good," Barletta, who was not involved in the current research, told Live Science. But, she said, "playing with public opinion about this stuff, it can be a little bit dangerous." The authors of the new paper certainly don't intend their research to be taken as an excuse to shrug off the consequences of greenhouse gas emissions. For one thing, said study co-author Michael Wolovick, a postdoctoral researcher at Princeton University, trying to slow the flow of glaciers does nothing to stanch the other catastrophes of climate change, from ocean acidification to droughts and floods to the inevitable sea-level rise that comes not from melting ice, but from seawater expanding as it warms. But ice sheets are no small potatoes, as far as climate impacts go. 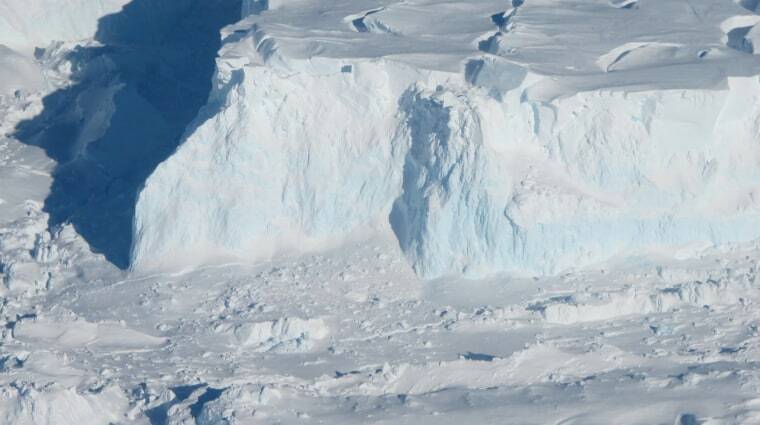 Unfortunately for humanity, the Antarctic Ice Sheet is what is called "overdeepened." Its edges are grounded against seafloor that's shallower there than it is at its middle. If you were to imagine traveling from the edge of the ice sheet to the center, the seafloor would slope away beneath you. The point at which the ice transitions to being anchored on land to floating is called the grounding line. Antarctica's glaciers are its bridge between ice shelf and ocean. As temperatures rise and glaciers melt, their grounding lines retreat — and the seafloor they're retreating onto is deeper than where they started. This means that the ice is prone to start floating, like an ice cube in a glass, said John Moore, a professor of climate change at the University of Lapland and the chief scientist at the College of Global Change and Earth System Science at Beijing Normal University. And floating ice is more prone to melt than grounded ice. It's a positive-feedback system: The more the ice melts, the more likely it is to melt even more. If this “marine ice sheet instability” gets going, and some scientists think it has, even if all carbon emission came to an abrupt halt, the ice would still be gone, Moore said. "You then think, 'Well, do we wave goodbye to the ice sheet, or are there actually any alternatives?’" he said. Waving goodbye is an unappealing option. Even a sea-level rise of 3.9 feet (1.2 meters) in the next century could swamp coastlines and create a million climate refugees per year, the researchers wrote. Another several hundred million people would likely have to temporarily relocate each year, fleeing floods. A 2014 study in the journal Proceedings of the National Academy of Sciences estimated that protecting coastlines around the world will cost between $12 billion and $71 billion each year. The outlet glaciers and the ice streams that will dump all this meltwater into the sea are relatively small compared with all that coastline, Wolovick and Moore said. "The ice streams and outlet glaciers are very high leverage points in the climate system," Wolovick said. Because there are many questions about how glaciers calve off icebergs and how they slide against the bedrock, the researchers ran multiple scenarios, altering those variables in each. They chose Antarctica's Thwaites Glacier as a test case because it's an enormous "cork" holding back the West Antarctic Ice Sheet. "Thwaites Glacier is the big one, the most difficult," Moore said. "If it works on Thwaites, really what we're saying is that other, smaller glaciers should be easy." In 100 percent of the scenarios, a seawall that blocked all warm water from circulating near the glacier kept Thwaites from collapsing, the researchers found. A seawall that blocked half the warm water worked 70 percent of the time. In a heartening finding, just studding the seafloor with seamounts to reground the glacier without blocking any water at all worked 50 percent of the time. The scenarios used in the research were very simplified, Barletta said. In the real Antarctic, there would be many more potential feedback loops to account for in the model. Her research has found, for example, that the seabed itself may pop upward as the glaciers retreat, relieving the weight pushing the bedrock down. In the short term, at least, the rising seabed could provide its own grounding point for the retreating glaciers. "It's quite easy to see that [geoengineering] could potentially have a lot of other effects other than stopping a glacier," Barletta said. "If you think of all this thermal energy that is being stopped, where is it going? Another glacier? Is it changing the ocean current? What is it going to do? We don't know anything about this." "Certainly, a lot of the knowledge that we need in order to be able to do this kind of work is what we need, even if we decide not to do this kind of work," Moore said. A scheme like the one the researchers explored in the new study would be best tested on a small glacier in Greenland first, Moore said. This isn't the first glacial geoengineering scheme, Wolovick said. Other possibilities include massive seawater pumping schemes that would pull water from the ocean and put it on top of ice sheets to refreeze. Some scientists have suggested drying schemes to try to remove seawater from underneath the base of grounded ice, Wolovick said, or attempts to thicken the sea ice in front of glacial outlets to reduce how fast icebergs calve. But it will be decades, if not a century, before geoengineering glaciers is technically feasible, he said. While these ideas don't negate the need to get carbon emissions under control, they represent a more sophisticated approach to geoengineering, Moore said. Rather than trying to alter the entire atmosphere to cool the globe, geoengineers can seek small, but high-value, targets. As for concerns about deliberately altering the planet? That ship has sailed, Moore said. "We do control the climate of the Earth," he said. "We need to take responsibility for it."